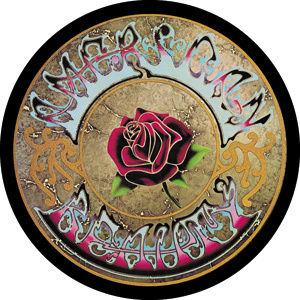 This large magnet shows the album cover art from the Grateful Dead album "American Beauty". Approx. size is 3" round. For refrigerators, lockers, & most metal surfaces. Officially licensed Grateful Dead merchandise.